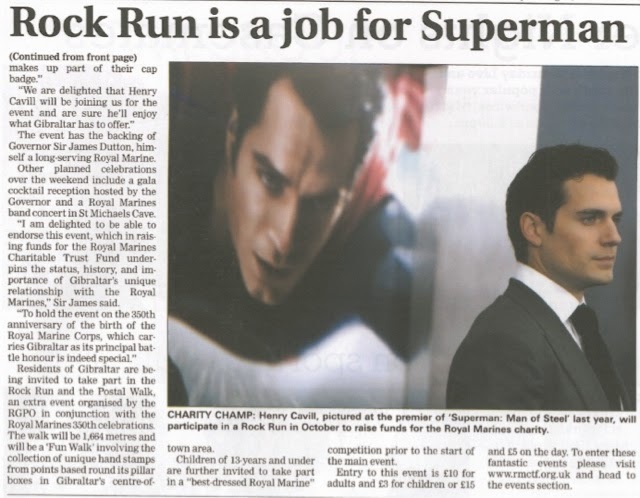 Henry Cavill News: Gibraltar Rock Run: You Are Making It Happen Team Henry Cavill! 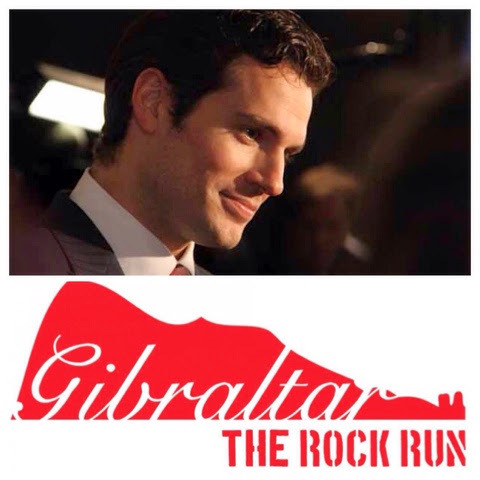 Gibraltar Rock Run: You Are Making It Happen Team Henry Cavill! Here we are, just a week after announcing that Henry is participating in the Gibraltar Rock Run and you've already raised more than £600 in support of the Royal Marines Charitable Trust Fund. Go team Henry! Henry is taking time out of his very busy Batman v Superman filming schedule, to participate in this run that will help a cause that's very close to his heart. As his fans we have been given the opportunity to help him make a difference. So please join us in sponsoring him and help him reach his £20,000 fundraising goal. We say it's the least we can do, so when he's out there running to the top of the rock October 25, he knows he has our full support. Henry is always so kind to his fans, let's not let him down. In the coming weeks, we'll be updating you on the progress of Henry's fundraising effort and giving you more information on the run. Thank you to the many fan sites that are helping spread the word about the event. They include Henry Cavill Jersey, Henry Cavill Italia, CavillFan.Net, Henry Latin Fans, Henry Cavill Czech Republic (Prague), Henry Cavill_IT, Henry Cavill Fanpage and many more. We are all in this together, and we will succeed in helping Henry help the charity he supports. After all, that's what we're here for. Again, here is the link where you can sponsor him. Any amount helps. Let's do this!